The Western Canadian Shootout Class winners from left to right: Niels Lausten, Glen Olfert, Greg Mathiesen, Denise McFarlane, Cheryl La Rue, Duncan MacMillan, Cathy Papley, Ken Kusk. 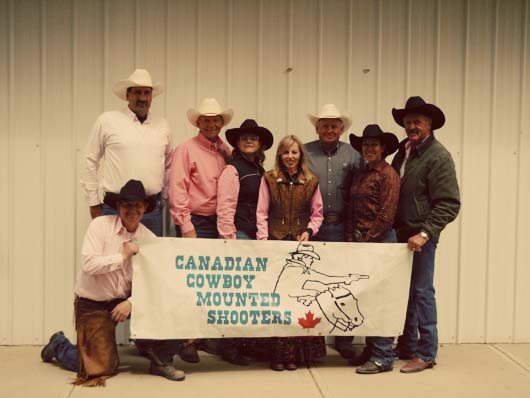 The fast and talented Canadian Cowboy Mounted Shooters’ participants, came to Red Deer for the Western Canadian Shootout July 9th -10th. Scoring the best time in each class were Sarah Harbin with a 76.642, Niels Lausten 72.117, Penny Wilson 96.443, Cheryl La Rue 83.577, Greg Mathiesen 85.017, Ken Kusk 77.818 and fastest time of the weekend went to Todd Hemmerling with a 65.585; second fastest was Gary Couch with a 68.901 second run in the same class. Pink rider for the breast cancer, Run for a Cure. 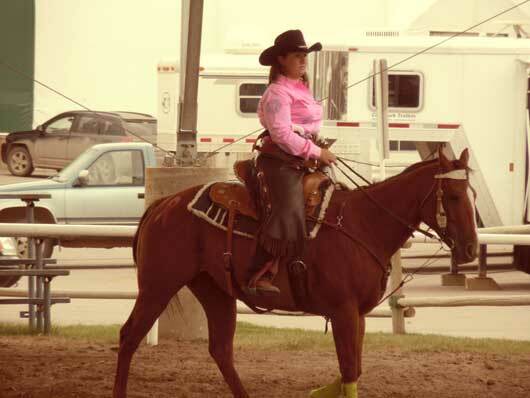 During the event, funds were raised for the Wild Pink Yonder group and will be presented at the Wild Pink Yonder banquet August 24th. There was a draw for two guns and the winners were for the men’s Greg Mathiesen, women’s Michelle Bowman.